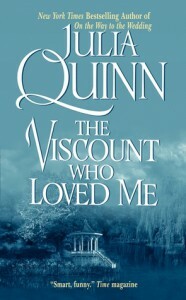 Another great read from Julia Quinn. I love the Bridgertons, but this one is outstanding. Anthony Bridgerton is awesome as leading man, with dark past, reluctant to love. Kate Sheffield, sharp-witted is almost as reluctant as he is. Shades of Kate from the Taming of the Shrew by Shakespeare abound.